Welcome to Finlay Windows. We are a double glazing company based in Whickham, near Newcastle upon Tyne, in the North East of England. We pride ourselves on a high-quality service with a fantastic range of products, from double-glazed windows to conservatories and tiled conversatory roofs. 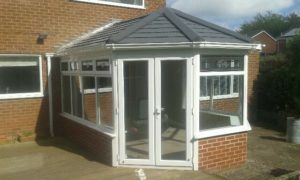 We have an extensive range of double glazing and conservatory products and services we can provide with our usual high standards of service and work. If there’s something you require that you can’t see, please don’t hesitate to contact us and we’ll endeavour to find it for you. Finlay Windows are an established, reputable double glazing company based in Newcastle upon Tyne and Gateshead, and covering the North East of England. We are a family-run business and pride ourselves on having high standards of customer service and work, and are MTC compliant (Minimum Technical Competency).